This light pasta salad is sweet and crunchy and packs a protein punch to boot. Why not whip up a batch for your next summer gathering (with extra for your family)? NOTE: This recipe includes water chestnuts, which are not tree nuts; instead, they are "an edible portion of a plant root known as a 'corm,' according to the Food Allergy & Anaphylaxis Network. Cook macaroni according to package directions; rain water and place in large salad bowl. Chop water chestnuts and slice grapes in half. 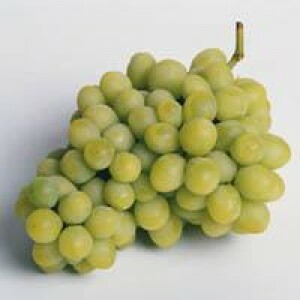 Add chopped chicken, grapes, and water chestnuts to the bowl with the macaroni; toss with ranch dressing and serve.